IdeaPaint Marker Blaster is perfect for all those hard cleaning jobs when standard IdeaPaint Dry Erase Cleaner Spray or soap and water just won’t get it clean. Engineered to tackle your toughest dry erase cleaning jobs, leaving your walls refreshed and ready for your next great idea. Removes really stuck on marker stains—including some permanent markers. 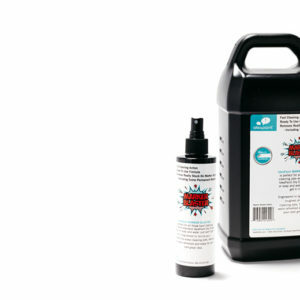 Spray on, wipe off with an IdeaPaint Microfiber Cloth (sold separately). 8 oz Spray and Gallon Refill sizes available.